I recall drooling uncontrollably at my desk back in 2013 when the images of Oppo’s new Planar headphone were first released. Such a sleek and attractive design simply was too tantalizing for me to resist. That elegant metallic framework and jet black mesh made me want to dive headfirst out of my 2nd story window and howl at the moon. At 395g, the headphone might come off as a bit bulky and heavy on paper, but reality is quite the opposite. It is probably the lightest planar in the market today. 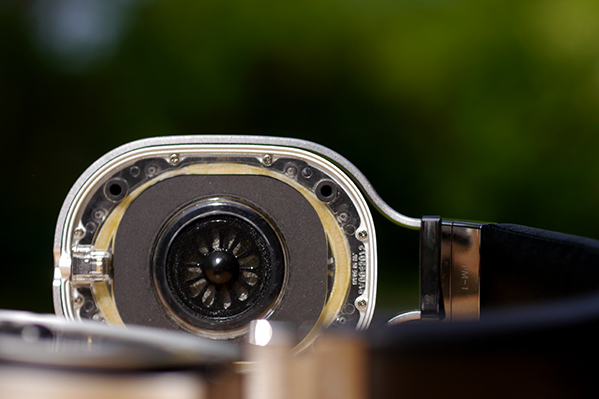 The PM-1 offers a refreshing level of comfort, a far cry from most other headphones that use this type of driver tech and solid metal framework. No dreadful comfort qualities here, thank goodness. The headphone rests strikingly well on my head and uses a Denon Dxxxx series headband style with a luxurious and supple lambskin cover. Lazy and poor headband design is something that really grinds my gears and makes me want to transform into Godzilla and ravage a small city. 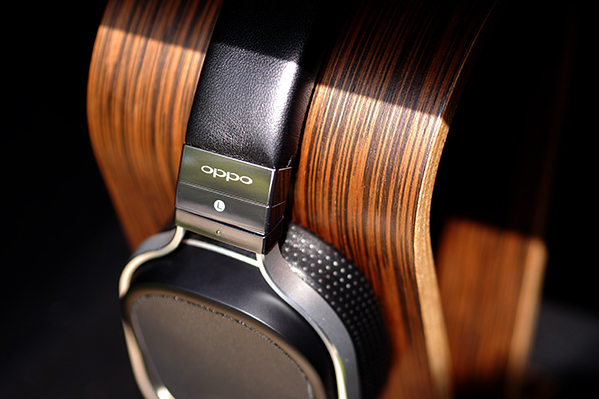 Thankfully, Oppo understands comfort and has designed both a great sounding headphone as well as a comfortable one. 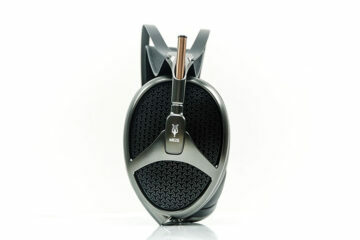 Average clamp factor combined with excellent pads makes for one of the most well designed headphones I’ve ever worn. Mutant X-Men with large ears may have trouble getting a proper fit, but in general I don’t think it will be a problem for most. The PM-1 comes with two earpad types; one is a perforated lambskin material that breathes well, the other is a pure velour material which for me tends to get hot faster than the lambskin. Usually, the reverse is true and leather/lambskin pads tend to heat up faster on my ears than velours. Weird, but I am not complaining in the slightest because both pads offer excellent comfort. Both use hypoallergenic latex cushions that Oppo says last longer and retain less moisture than typical cushioning materials. There was a minor, but evident difference in tone and bass texture when swapping between them. The lambskins seemed the more pure of the two and the velour seemed a bit darker, offering a bit more bass quantity. I must thank Oppo for making it so easy to apply and remove the earpads, this is a wonderful design. 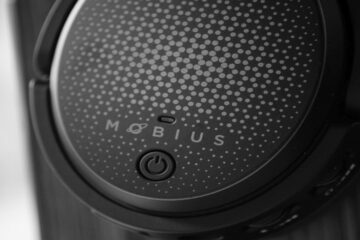 Each earpad has four protrusions on their rear sides that neatly lock into place in the inner section of the headphone driver plate. Effortless snap on, effortless snap off…easy as pie…exactly how it should be. 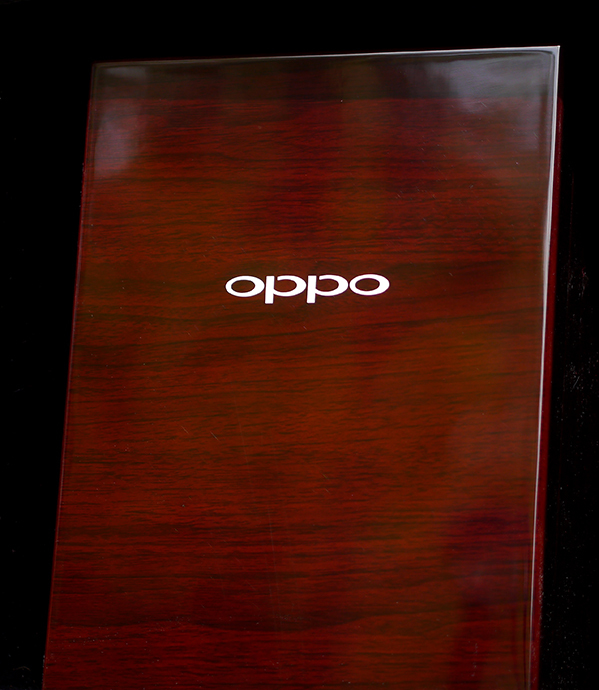 Oppo has included the most beautiful wooden box I’ve ever seen that might come with a HiFi headphone. It also comes with a full size 1/4 styled cable, a shorter 1/8 portable length cable and a neat carrying case made out of a jean-jacket type material. It seems a bit much for me on the box, as I’d never hide the headphone in a protective box like this. I’d rather keep them on my Omega stand for people to see and swoone over. In July, Oppo will be releasing a similar headphone with the same drivers inside a cheaper housing called the PM-2 probably without this gorgeous box that must have cost a pretty penny indeed. For the price as is, with all these wonderful things included, the Oppo PM-1 is a best buy even at $1099 when it comes to sound quality. Oppo hit this one out of the park in terms of price to performance. This is a real review. You can hear the writers preferences but the the sound of the headphone is very easy to understand. I feel like I know exactly what it sounds like now. Thanks!